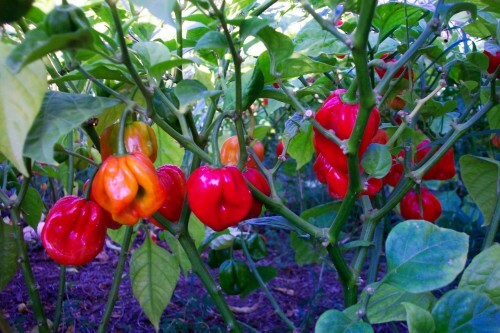 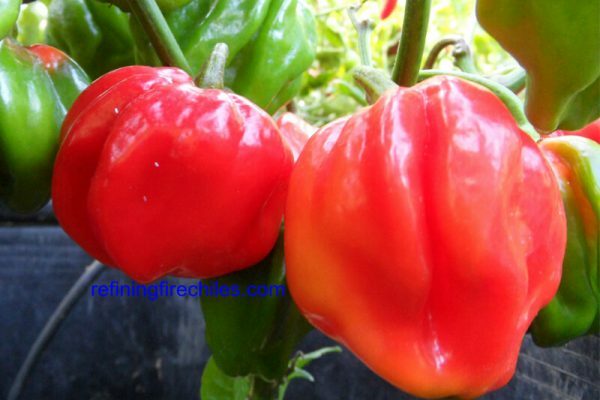 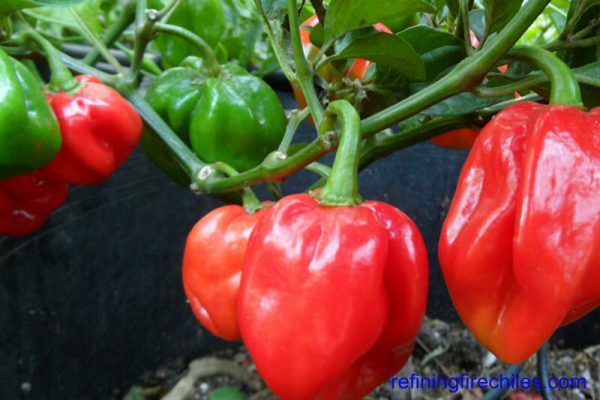 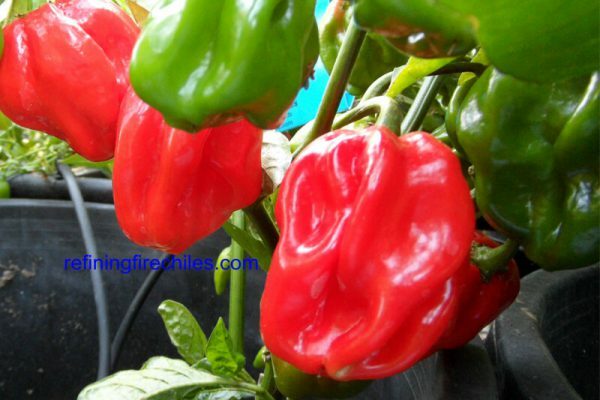 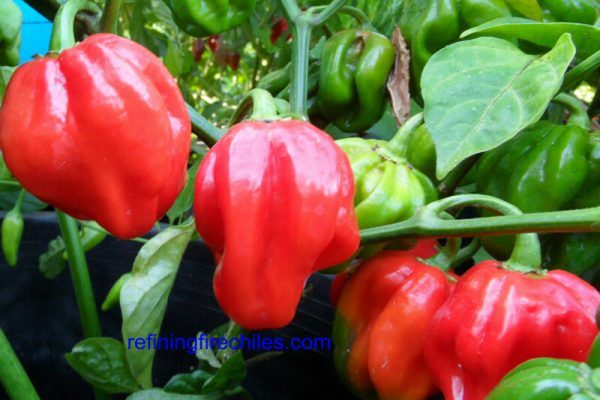 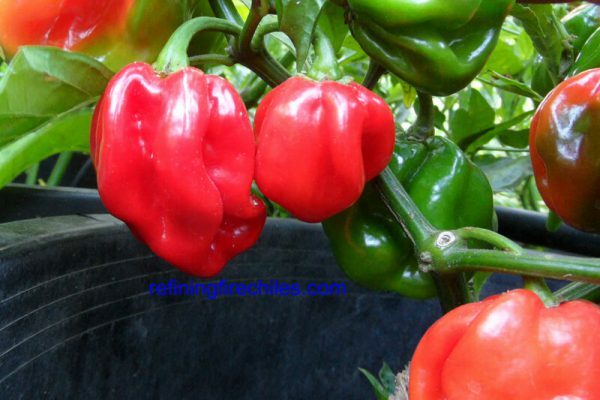 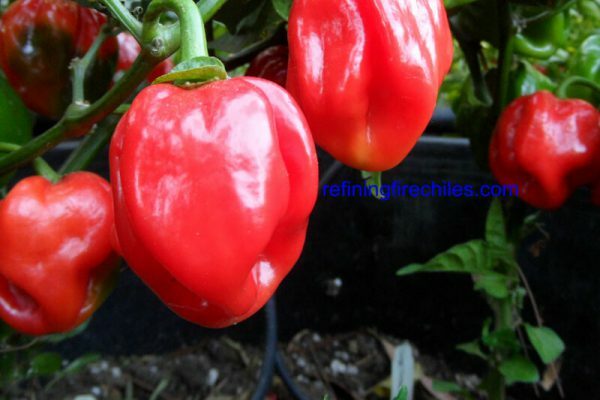 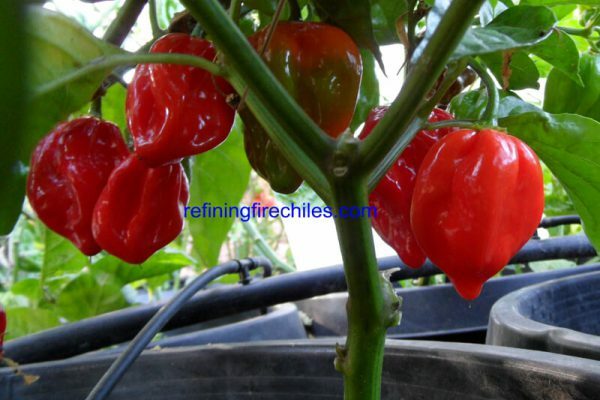 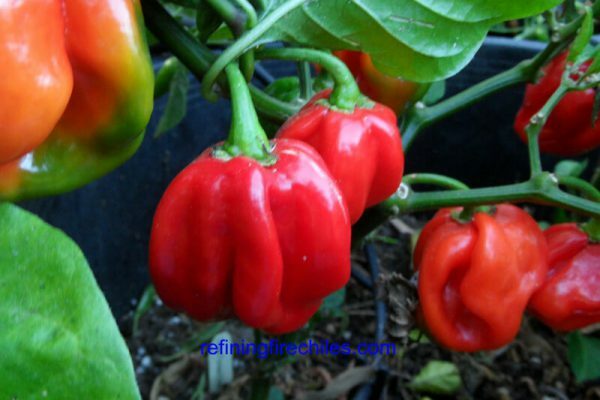 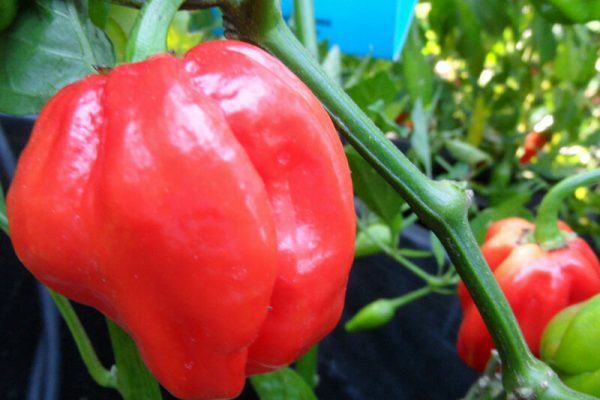 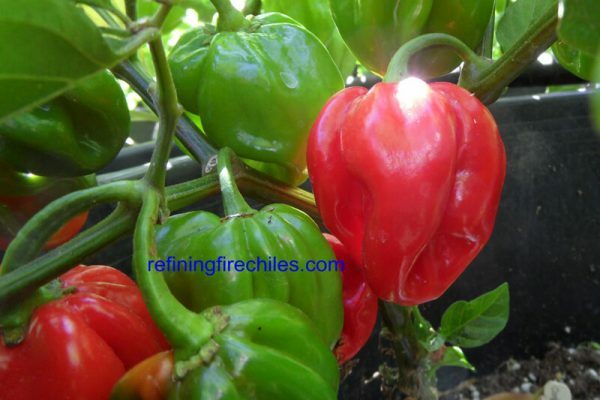 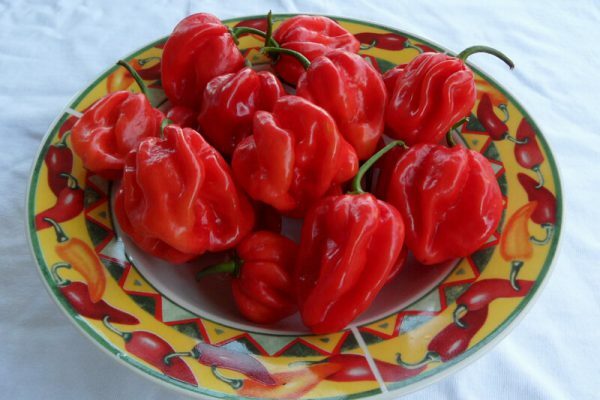 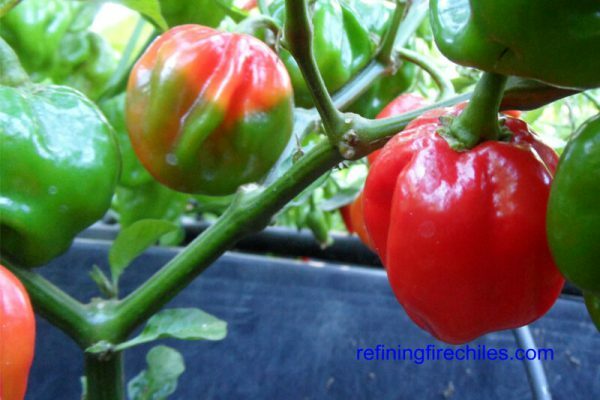 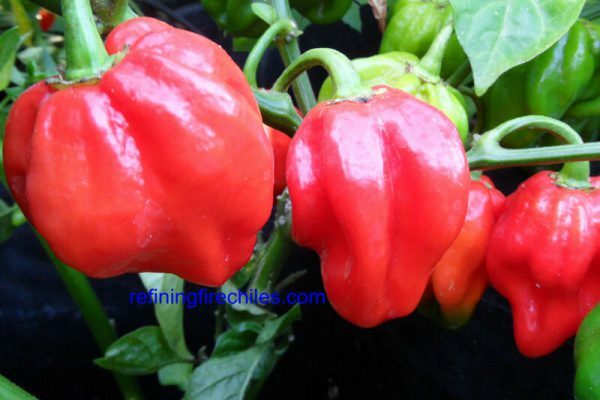 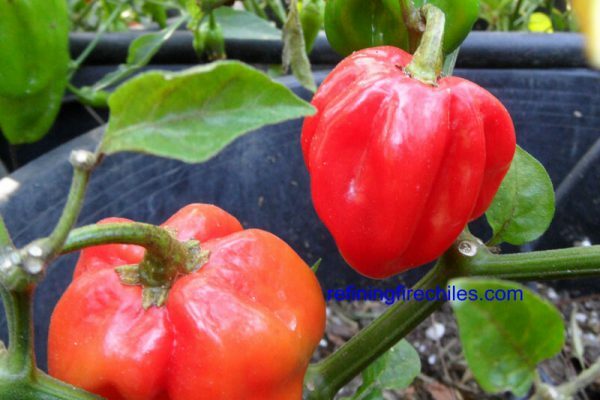 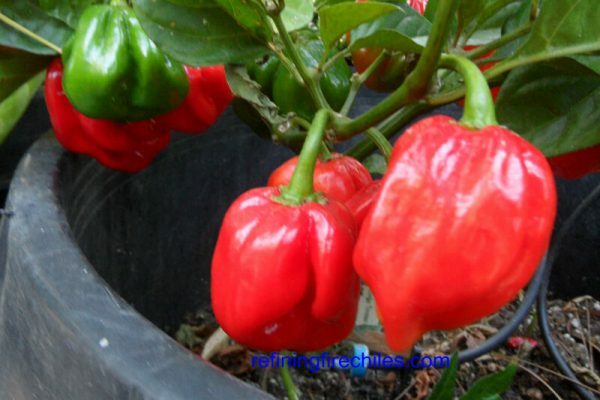 This chile is commercially grown in Trinidad and can be found in the local markets. 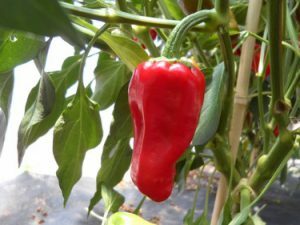 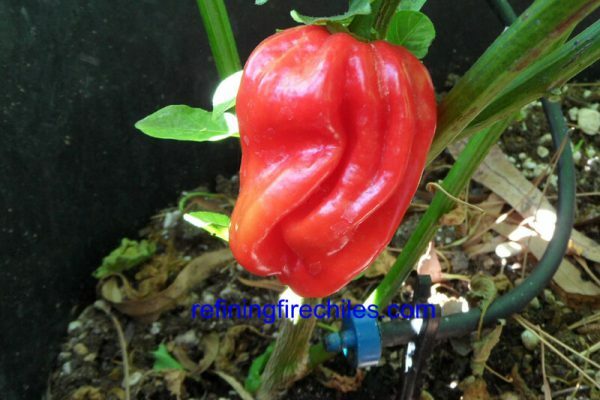 The pods mature to a bright red color and get up to 3 inches long by 2 inches wide. 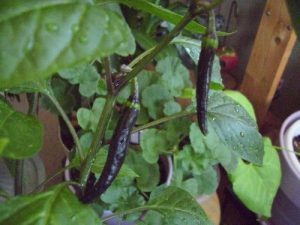 It has a slight sweet and smoky flavor. 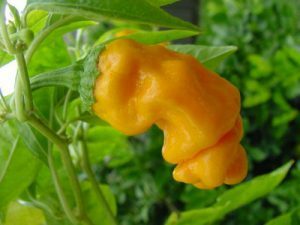 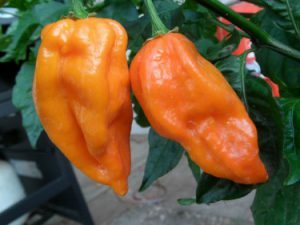 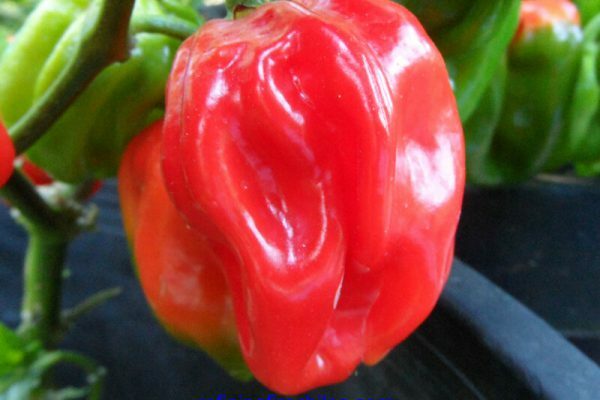 A very hot jumbo habanero type.